Ansteron IDE is not a native Mac application. 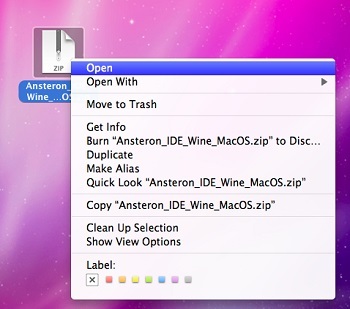 However, we can use Wine, a tool that allows Windows Apps to run on Mac OS X, and a custom version of Ansteron IDE to make it possible for programming Ansteron Board on Mac computers. Note: Mac OS X version 10.5 or latter is required. 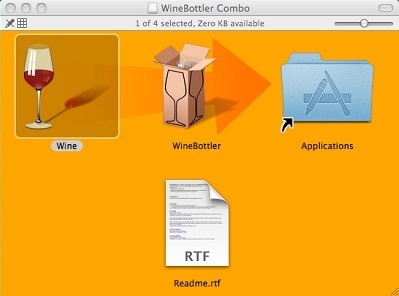 WineBottler (tested), Wineskine and PlayOnMac are common versions of Wine for Mac OS. You can download a copy for free online and install into your machine. For example, with WineBottler, you can just drag and drop Wine into Application folder. Note that WineBottler is a bundle. You can install Wine without Bottler if you don't need. Watch out for Advertisements (confusing links) when you go to WineBottler website. Look for "Skip Ads" links on the top right corner. The custom version of Ansteron IDE can be downloaded by the link above (top of this page). You can just un-zip the package to any location on your Mac and run it from there. After you have installed Wine, you can run Ansteron IDE just by double click on file "ansteron.exe". Ansteron IDE access hardware through a service written for Mac OS, included with the package. The service is started automatically but in the case when Ansteron IDE does not have permission, you can manually start it by running file "aboard_service" in the same folder. Once the service runs, you should be able to use Ansteron Board without any additional setup. 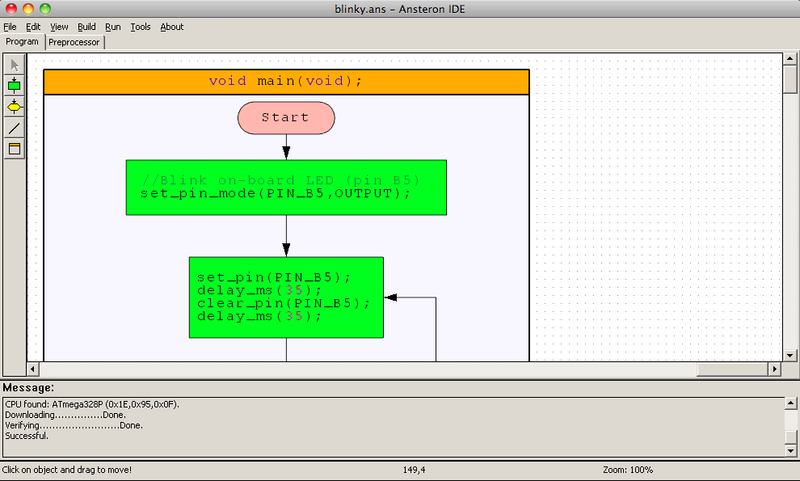 All hardware functions of Ansteron Board will work the same way as other version of Ansteron IDE. Multiple instants of Ansteron IDE sharing up to 8 Ansteron Boards are supported on a Mac computer. For Arduino and Ardunio compatible boards, you have to edit file "serial_map.conf" to match each COM port in Ansteron IDE with a tty file corresponding to a serial port. If you're not sure which one, you can compare the list before and after your device plugged in. The new file added should be for your device. 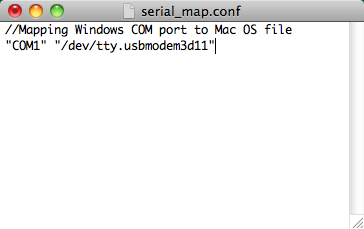 After you has the file name, open file "serial_map.conf" with text editor and enter the path to your device for each corresponding COM port, starting from COM1. 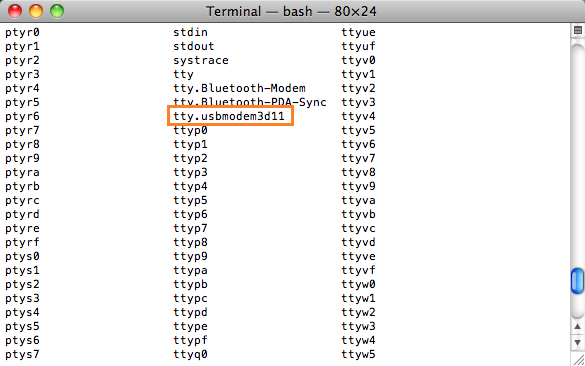 If you still not be able to use the COM port, make sure that you have read and write permissions for tty file. 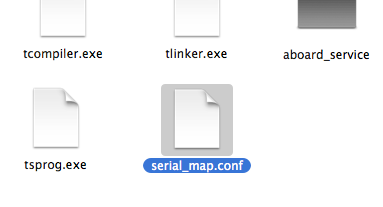 Besides, in "serial_map.conf" file, COM port and corresponding tty file are in the same line, each must be in parentheses and "COMx" must be in upper case. When using Serial Terminal and Grapher, you may experience some delay since data between Ansteron IDE and Ansteron Board have to travel through many layers. The delay time is vary depends on processing speed of your computer. In General, you should not continuously send data to Serial Terminal more than 10 transfers per second. The idea is to give enough time for data to be read and displayed on the screen, avoiding data lost due to overflow. Data size of each transfer, however, may be as large as 512 bytes.